The San Francisco Giants may be having an off year (looking forward to an even year next season), but they are totally killing it with their promotions and special events. Sunday, September 17, was the second (yes second!) Pixar day at the park of the season. 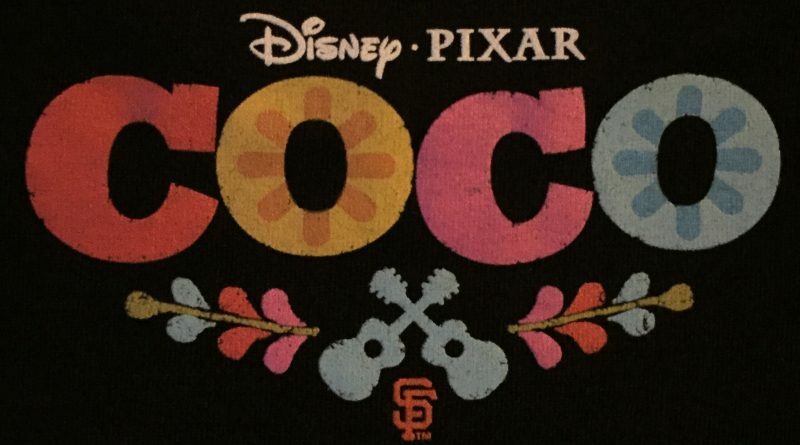 This works out great for me because I not only get to cheer on my team, but also experience a unique mashup of two of my passions: Giants baseball and Pixar. This is the fourth year of Pixar related promotions and they doubled up and decided to host two games. From personal experience, not only can a Pixar/Giants themed item help take the sting out of a loss, but it can also serve as the cherry on top of a sweet sweet win! As an add-on, you may also choose to enhance your game day with the VIP pre-game experience. Getting real for a moment, this does make an already expensive outing more so, but I believe the value is worth the splurge. Before extra fees, the price of a VIP ticket is $200 (this being the price for the 2017 season). At least for me, this is not chump change, but gosh darn it, I wanted the extra Coco item and the chance to mingle with some Pixar folks. 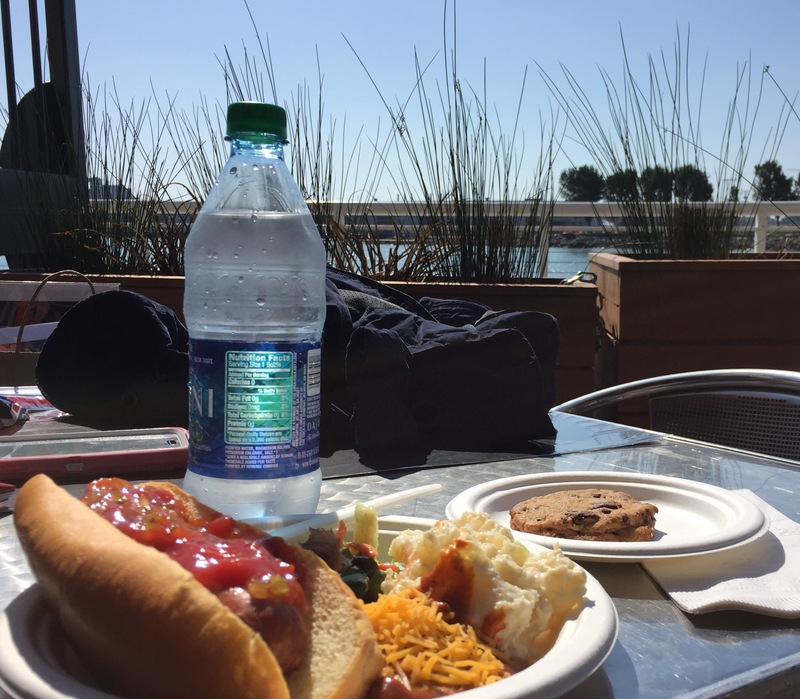 The experience also included food (typical ballpark fare) and access to a full bar (all the Dasani bottled water my bladder could hold). Triples Alley was home to the event and allowed guests an exclusive area to eat, chat, and watch the players get ready for the game from a gated off area on the warning track (which is so cool!). Upon entering the location, ticket holders were given all their take home goodies for the day. 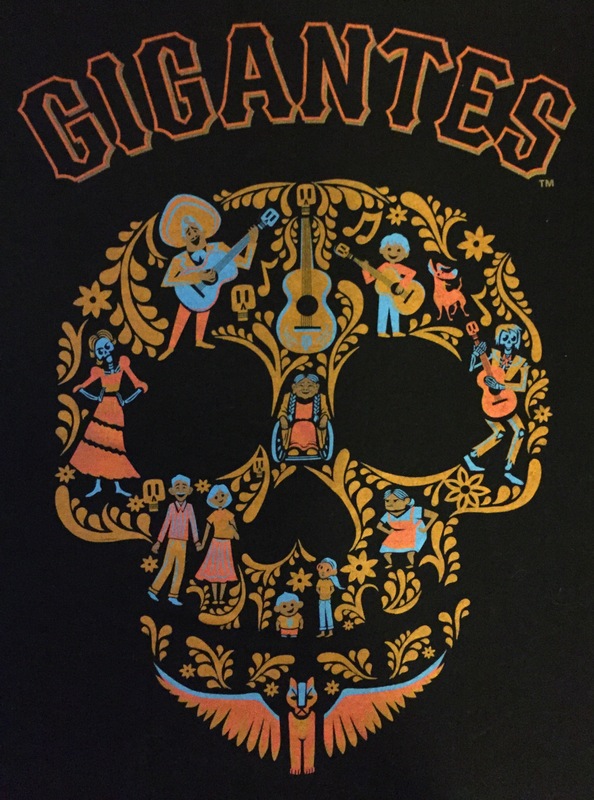 These items included: Gigantes/Coco Dia de los Muertos skull t-shirt (so soft), Coco lithograph with the printed signatures of the creative team of the movie, and the coveted Coco guitar movie poster that made its debut at the D23 Expo (a total score). With goodies in hand and hotdog in belly, it was time for the main event and to greet the Pixar folks. Director Lee Unkrich, Co-Director Adrian Molina, and Producer Darla K. Anderson participated in a Q&A about their upcoming film and all things Pixar. For a full rundown of the talk, make sure to stay tuned because Mousetalgia Jeff will have his own report of the event with some audio as well. After the Q&A, guests had the opportunity to meet and greet with the Pixarians. Lee Unkrich was very gracious and signed autographs and posed for pictures. Darla K. Anderson had to leave a little early to warm up to throw out the ceremonial first pitch, but she took the time to speak with a young autistic fan about internship opportunities at the studio before leaving. All three were very approachable and gave the event a very comfortable and laid back vibe. I’m definitely looking forward to seeing this movie when it comes out later this year. The last perk of the VIP experience was getting to walk on the warning track to our seats along the right field line. 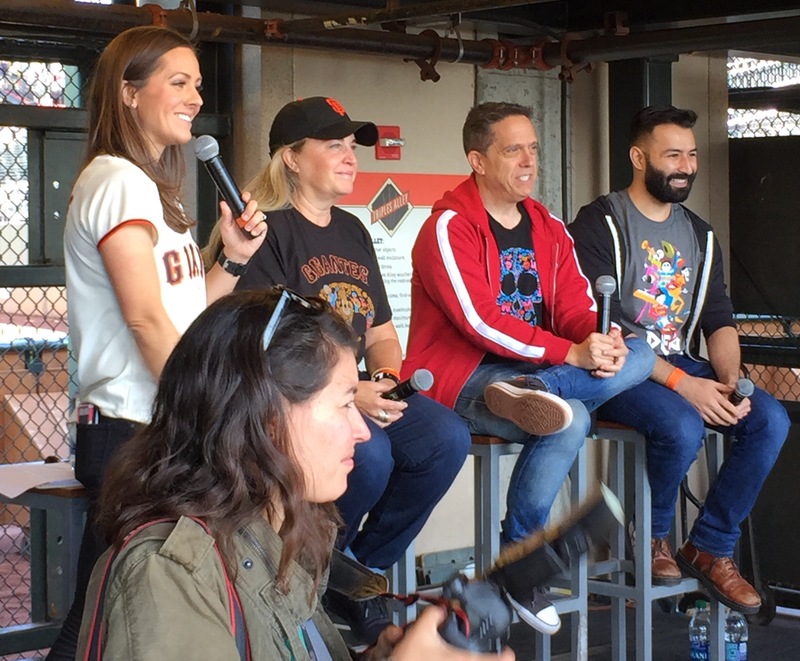 The day was beautiful, the Giants bats were alive, and the Pixar spirit was strong. Keep your eye on the Giants special events page. There are some great promotions the team offers all season long. 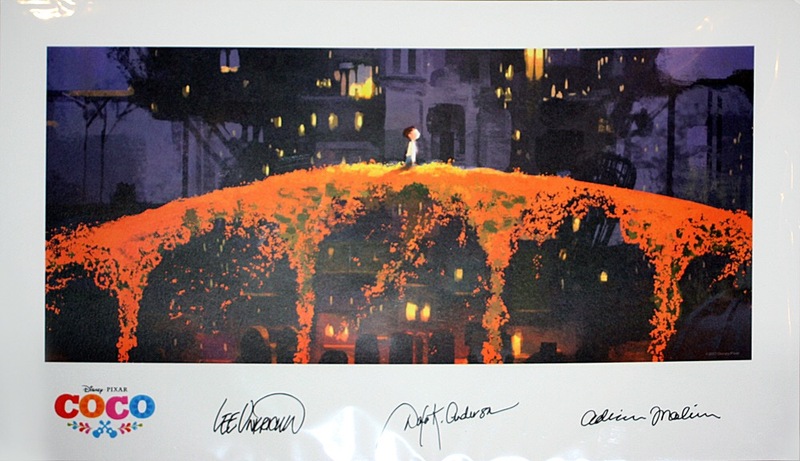 If you’re like me and can’t wait until next season’s Pixar day at the park, maybe winning a sweepstakes for a Coco lithograph will tide you over. Leave a comment on this blog post by October 11, 2017 and a winner will be randomly selected. Go Giants and Carpe Kingdom! The advantage of being in the Bay Area! 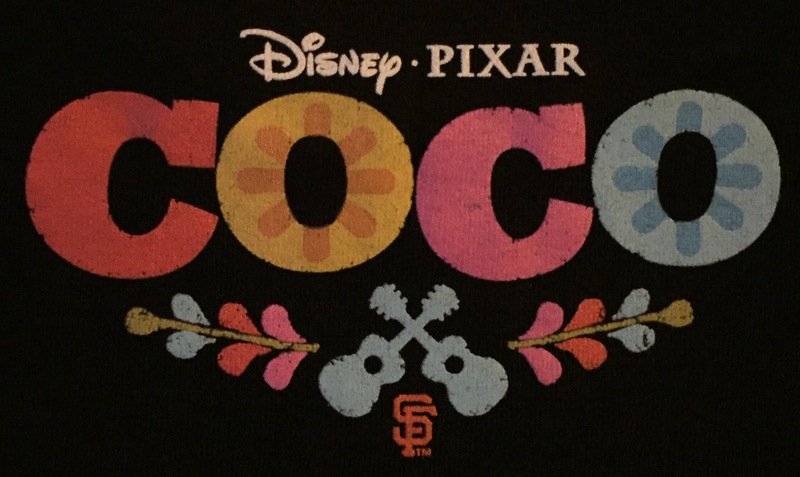 Giants baseball and Pixar. What a “home run” day! Congratulations Karen! You’ve won the Coco lithograph. Please send your mailing address to blog@mousetalgia.com and we will get it mailed out to you soon! Keep reading and Carpe Kingdom! Sounds like a fun day to me! Pixar and baseball! !